2015 Year in Review - What a whirlwind! Going back to our roots with ground breaking advocacy and activism, EPC spearheaded an awareness campaign about the US Navy's destructive live fire war games in the Gulf of Alaska during the height of salmon and whale migrations. Outreach went far and wide, with three communities holding protests, many resolutions passed against the war games and even an amendment added to the National Defense Authorization Act. Major developments are happening behind the scenes; stay tuned and get ready to help minimize the impacts of future war games! Huge Progress made with the Bering River Coal Conservation Initiative. We are SO close to making salmon preservation and keep-coal-in-the-ground history in Alaska with this project. This summer EPC hosted visitors to Cordova from South Korea and all over the USA to negotiate the final details. We see the finish line in 2016! EPC's Bag It Cordova project made more than an impact - the Cordova City Council unanimously passed a ban on point of purchase single use plastic bags AND polystyrene (Styrofoam) take-out food containers that will go into effect 10/1/2016! 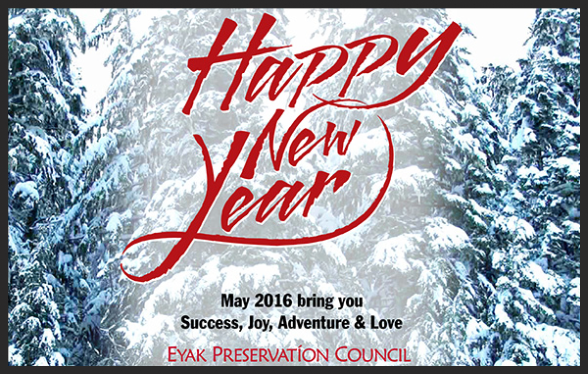 We hosted the 4th Annual Eyak Culture Camp in Cordova with help from the Eyak Corporation and the US Forest Service. Be sure to check out the Eyak eLearning platform and listen and learn about the Eyak language! Wild Salmon and Cultural Preservation!